Can I Use Mouthwash to Avoid DWI in New York City? | Raw Law | Law Offices of Adam M. Thompson, P.C. As you likely already know, the penalties for a conviction for driving while intoxicated, or another alcohol related driving offense, in New York City are harsh. Even a first time conviction can lead to jail time, a hefty fine, and/or the loss of your driving privileges for up to six months. 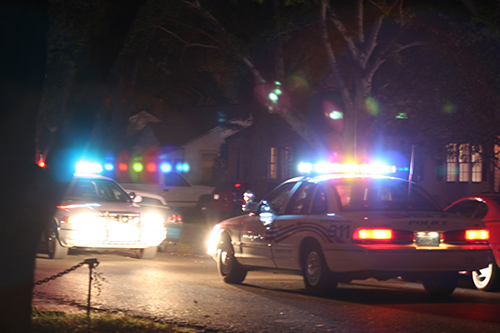 Not surprisingly, urban myths and misconceptions abound when it comes to purported tricks for beating a chemical test in the hope of avoiding a conviction for DWI. Hopefully, you will never be a in a position where you have to worry about passing a breath test; however, if you are, you should know whether these "tricks" actually work or not. For example, people often wonder "Can I use mouthwash to avoid DWI in New York City?" The simple answer to that question is "no". People are often under the misconception that by taking a swig of mouthwash as they are getting pulled over they can mask the smell of alcohol on their breath. This simply does not work for two important reasons. First, when you consume alcohol the alcohol is absorbed into your bloodstream. Eventually, it makes its way into your lungs, and therefore into your respiratory system. This is why a breath test is used to test for the presence of alcohol in your system. Therefore, though taking a swig of mouthwash could potentially disguise the smell of alcohol in your mouth, it can do nothing for the smell of alcohol on your breath or the smell of alcohol that is escaping the pores all over your body. Police officers are trained to check for the smell of alcohol that radiates from someone who has been drinking. Simply pouring mouthwash in your mouth as you are getting pulled over will not disguise that smell. More importantly, taking a drink of mouthwash might actually have the opposite of the desired result because there is a good chance that the mouthwash itself has a small amount of alcohol in it. If you take a drink as right before being stopped, by the time you get to the station and take a breath test, that small amount of alcohol could be precisely what causes the test results to be over the legal limit if you were hovering around the legal limit when you were stopped. The bottom line is that, like many myths, drinking mouthwash to avoid a DWI arrest or conviction simply does not work – and may do more harm than good in the end. If you have been charged with DWI in the New York City it is important that you consult with an experienced New York criminal defense attorney right away to evaluate your case and get started on your defense. Contact the Law Offices of Adam Thompson today by calling 855-497-2326 to schedule your appointment.